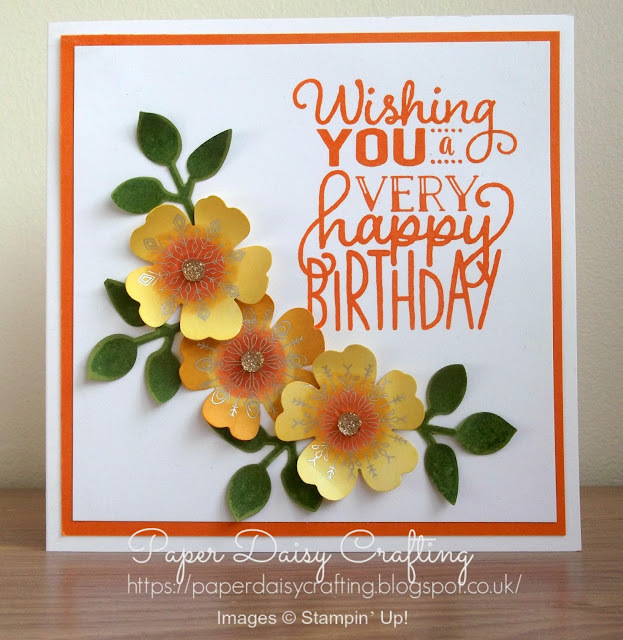 I'm back again today to show you how I made the card using the flowers that I showcased last time. This is such a fun card to make and I love how it looks. And it gave me a chance to use my Pansy Punch, which I have to admit has hardly been used since I bought it a few months ago. This is such a simple card to make but it has a real "wow!" factor - I for one would love to receive a card like this. 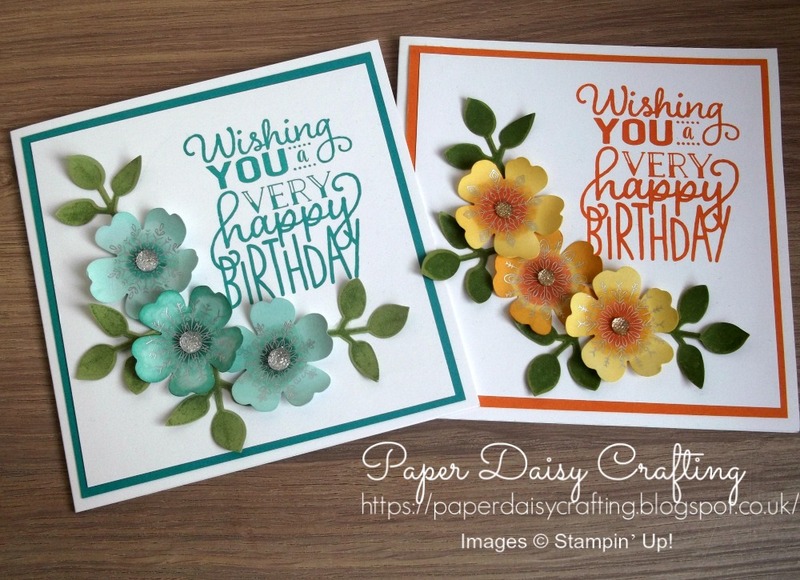 I have used a greeting from "Big on Birthdays" (love, love, LOVE that set!! ), and the fairly new Leaf Punch to create my card. 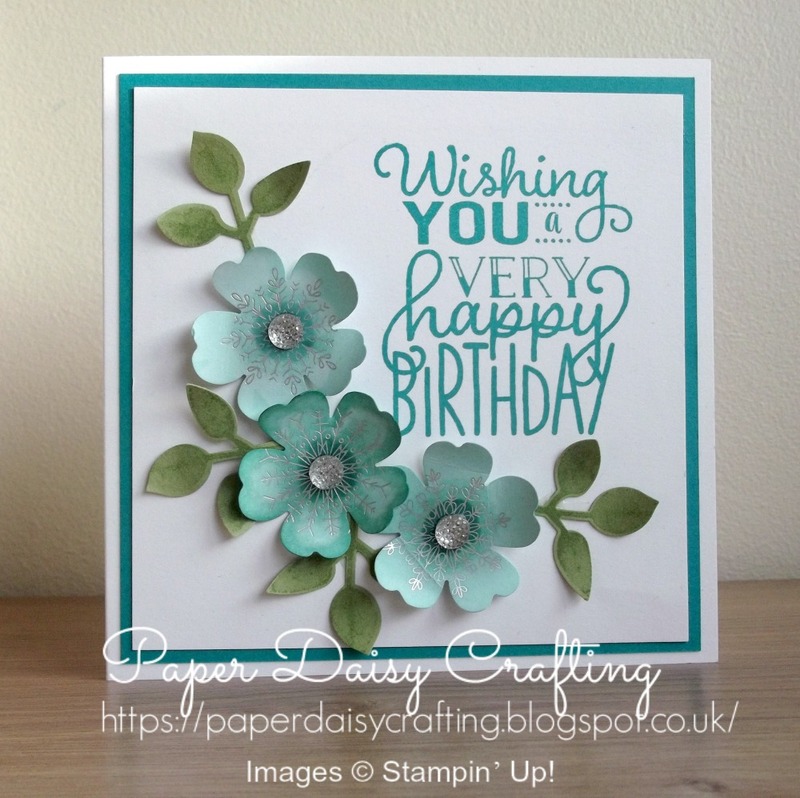 The video showing you how to make this card can be found HERE. Hope you liked this project. Come back soon - I have some more Christmas projects to share with you!